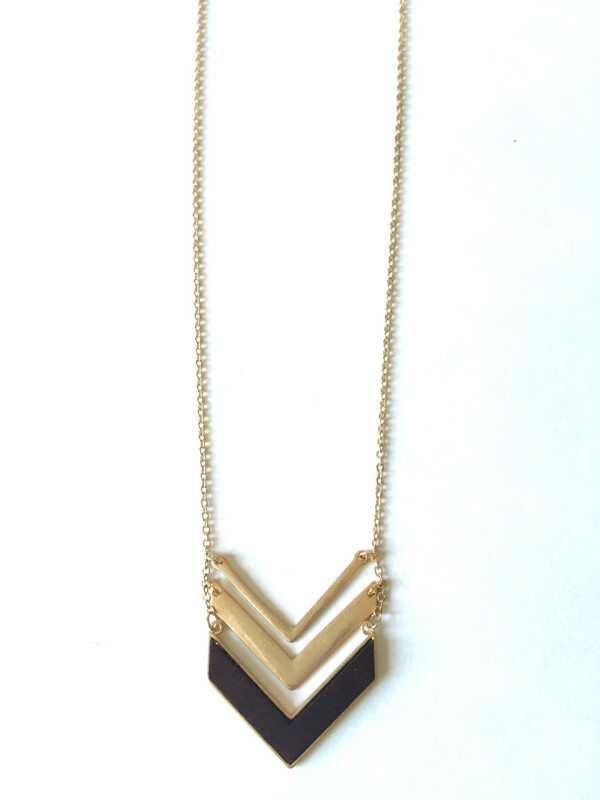 Tags: chevron necklace, matted gold, pendant necklace, wood. 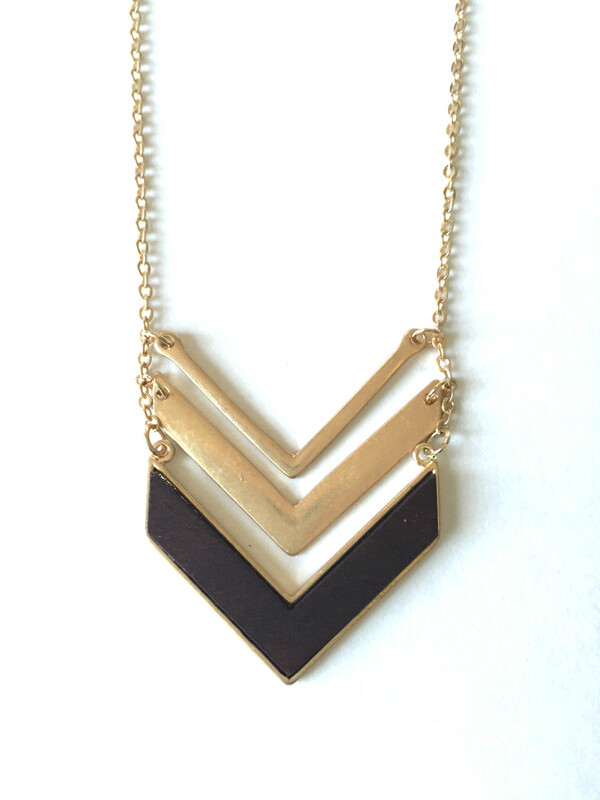 Matted gold and wood plated chevron pendants are layered to create this simple and chic necklace. It’s the perfect accessory to accompany casual top or dressy blouse. Also available in grey. Chain length is adjustable.